 The Rose Bowl Game Keith Jackson Postgraduate Scholarship is an annual scholarship that recognizes one senior student from the Big Ten Conference and one senior student from the Pac-12 Conference for exceptional achievement in academics and civic service. Each student will receive a $10,000 scholarship, to be paid to their postgraduate institution of choice, to further their academic study in an area of their choosing. The scholarship is now open for applications and will be awarded for the first time in the Spring of 2019. 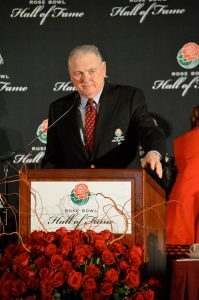 As part of the Keith Jackson Postgraduate Scholarship, each recipient will be given the opportunity to receive a “Rose Bowl Game Experience.” The experience will consist of a four-night trip to Pasadena, Calif., to shadow staff during the build-up to “The Granddaddy of Them All,” culminating with the opportunity to work the Rose Bowl Game on New Year’s Day.  The Keith Jackson Postgraduate Scholarship is funded by the Rose Bowl Game, which is a tri-party agreement between the Pasadena Tournament of Roses, the Big Ten Conference and the Pac-12 Conference. Honorably represent a Big Ten Conference institution or a Pac-12 Conference institution, exhibiting excellencein academics and civic service while displaying strong character and leadership skills. Plan to enroll in graduate or professional school within eighteen (18) months of graduation. Have a minimum GPA of 3.0 at the time of the application. Express an interest to pursue a career in the sports industry, including, but not limited to, sports journalism, media relations, event operations, marketing, etc. 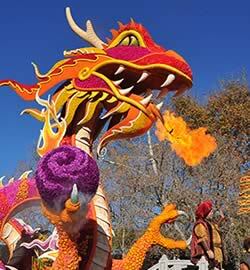 Nominations must be submitted directly to the Tournament of Roses. Nominations are due upon completion of the Fall 2018 term, but no later than April 30, 2019.  Complete nomination packets must be scanned and emailed to the Selection Committee of The Tournament of Roses (address below). A headshot of the student for publicity purposes (please email in .JPEG format to scholarship@rosebowlgame.org).